As a Radon Professional and Consultant, I’m often asked about permits and whether or not they are really necessary. All too often we hear “The other bids I’ve obtained didn’t mention anything about a permit? ?” Our reply is simple….it’s because they weren’t planning on pulling one and are assuming you, the client, won’t know any better!! Ridiculous and Insulting!! Permits not only protect you as the consumer for the job at hand, it has an incredible legal extension and implications. Did you know that before a permit can be pulled by a homeowner or contractor, the Village has required beforehand an active file containing the contractors General Liability Insurance, Workers Comp Insurance and active licenses for the task at hand? They’ve basically done some homework for you!! It also beats the alternative which would be to get caught and the incredible fines that come along with that snafu. The legal ramifications are significant. 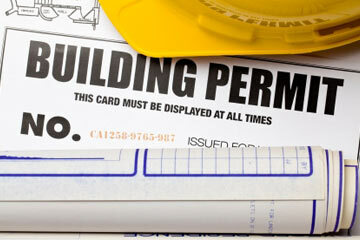 Did you know that permits for work do not have a statute of limitation in and Illinois Real Estate Transaction??? That’s right!! Let’s explore an example: Something awful happens years later and home has an electrical fire. The insurance company does their due diligence and learns that it was faulty wiring in your finished basement. As the investigation continues, they learn that work was done without the appropriate permits being pulled. ***It does not matter, who owns the home at the time, or how many years lapsed. The owner at the time the work is performed is held responsible!!! *** Now, can you imagine if your radon system was faulty and a future homeowner got sick??? Do you see where I’m going here? What’s the best way to find out? Call your local Building and Zoning Department and simply ask. Some communities require permits for Radon Mitigation, others simply do not. Be sure your contractor is in full compliance with your community. Do your homework. And of course, ask questions! Guardian Radon Mitigation & Electrical Services, LLC is a full time, licensed Radon Mitigation Company that is also bonded and insured. Give us a call with your radon questions! 630.768.9836, our office is open!